Founder & CEO of Panel Point Global. Family Office Insights sits down with Jeffrey Frank, Founder & CEO of Panel Point Global, to discuss how his company supplies and utilizes an advanced proven structural and environmentally friendly building solution that results in homes built cost-effectively, time-efficiently, and sustainably. Tell us about your background and your company, Panel Point Global, Ltd. Feeling like full time college was a waste of time, I left school when I was 18 years old to start my first company, Decked Out, building pools, decks, spas, and eventually, homes and commercial properties. I finished my undergraduate degree at night while growing Decked Out to over $1 million in annual revenue. When I turned 27, I decided to go back to school for my M.B.A. Years later, while running an investment bank in New York, I came across a proven yet under-utilized technology that helps people build homes in a more cost effective and efficient way, resulting in structures that are stronger, less expensive, and able to be completed in ¼ of the time (when building in mass). As an American entrepreneur, I always believed that problems could be solved with technology and creativity, and that it’s important to leave a lasting impact on the planet. I wanted to show my children that they could create something that will outlive them while, at the same time, contributing positively to the world around them. I wanted to spend the rest of my years leaving a lasting impact and lasting change. I spent a lot of time in sub Saharan Africa where I witnessed firsthand the appalling conditions in housing. In 2010, I created a group of the most experienced people in panel-based construction including those who excel in manufacturing and building to form Panel Point Global, Ltd.
Our technology is a structural insulated panel. Concrete is applied to both sides of the panel, in essence forming a steel reinforced concrete home. Our panel replaces the use of brick, blocks, and wood framing, which are traditionally used in home building. Our panel has 2 sides of wire mesh that are joined by welded angled Warren truss every 4 to 6 inches, allowing the panels to be load bearing and load sharing. This steel reinforced truss design ensures that the resulting structures will withstand storms, hurricanes, and earthquakes much better than traditional means. Given we use the pane for the roofs, as well, the houses are for the most part fire proof (concrete roof and walls don’t burn). The polystyrene core acts as a filler and insulator making it so that homes require much less power to hear or cool. The buildings can be built in approximately ¼ to ½ of the time it usually takes when using traditional building methods. Our business model is to go into a region with 1 or 2 mechanics and teach the local contractors how to use our panels, and then supply the panels for them to build. We educate, train, and then step back to supply and advise, creating jobs and continuing sustainability. The project we are currently organizing funding for is a 10,500-apartment project comprised of 210 six story buildings on 200 acres of land just outside of Nairobi. In the case of this project, we are marrying it with solar by putting solar panels on each roof. The resulting “solar farm” will generate approximately 15 MW of power. We believe our building system is a positive step in the evolution of construction, and when mixed with other green technologies, benefits both the residents and the overall community. What areas greatly benefit from Panel Point Global? The demand for global affordable housing for lower and middle income families is extremely high and growing. There is a 150,000-200,000 home shortage each year in Kenya alone. We work with local developers and contractors to show them the viability of our technology, the ease of use, and the increased strength and insulation of our walls. In this process, we are also teaching our competitors to innovate and leave a lighter impact on the Earth. Our goal is simply to transfer knowledge and develop stronger safe housing, thereby contributing to a better world. What are some challenges you face in this market? Education is the chief challenge we face. With 8 years of experience in Kenya, we know the market inside and out. In order to facilitate the process and be committed to the success of our projects, we focus on hands-on education. We have to educate people because our system is new to the local community. Even though our walls are stronger, sound resistant, durable, and eco-friendly, we must still convince people our method and product are better. While we want our panel’s usage to grow as we are focused on improving the speed, quality, and overall impact in housing so as to provide a better life for people, we must still educate and build our credibility. Hand on oversight is the next biggest challenge. To address this, our COO is relocating to Kenya for the duration of this project because we believe in always having someone from the C-Suite on the ground to be on top of every inch of construction and the use of every single dollar. We are an impact-driven entity with a goal to provide safer and more affordable housing for more people. We are more focused on the long-term goals of establishing ourselves as a fairly priced company while offering life-changing options for those in need. A major goal of our company is to be as green and environmentally friendly as possible by installing all of our buildings with solar, and implementing wind technology wherever possible. We are currently working on becoming efficient in converting waste into energy as well with biomass conversion technologies. With regard to this project, we also mitigate the risk for our investors through a process we call “micro-phasing,” which means that if we build 75 apartments in 3 buildings across 2 acres, we still have 98 acres of land left as collateral for investors just incase the project doesn’t pan out. We pay back our investors as we go and their equity is free. We have changed the risk profile by choosing to build slower to keep the investors’ capital safer. To launch this $900 million project, we are looking to raise between $7.5-$10M for 60% of equity with a 10X to 13X return. The ideal investor is someone with the desire to see a return and make an impact. I would like to work with larger investors with a background in real estate and/or technology. The 200-acre parcel of land we are building on is valued at $12M by Knight Frank. The project will be quite lucrative and will offer continued cash flow to investors for 7 to 10 years. Most importantly, it offers solid collateral during the first micro-phases. We want to make a difference in people’s lives while bringing strong returns for our investors. We are committed to doing good and doing well at the same time. What’s your next for you? My next 5-7 years are committed to this project. My personal mission is to continue to make a difference and leave a lasting impact on both the housing market and on the planet. The amazing thing is, we actually have a very real opportunity to accomplish these goals. Mr. Frank is the founder and CEO of Panel Point Global, Ltd. (“PPG”). PPG manufactures, supplies and educates local builders in the use of its proven environmentally friendly and vastly stronger building system. PPG is expanding throughout Africa and the Caribbean, working with local architects, engineers, developers and NGO’s in an effort to help them streamline the building process, enabling faster building of stronger homes that are environmentally friendly and less costly to erect. Mr. Frank is also an advisor to a large family office in the wholesale pharmaceutical and consumer healthcare space. He directs the strategy, acquisitions and divestitures of multiple entities and divisions. 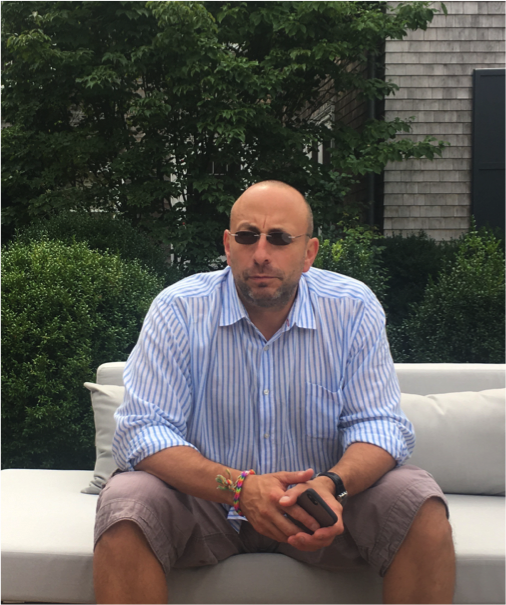 Additionally, Mr. Frank is a board member and advisor to Greenhouse Strategies, Inc. having worked in the role of acting President, and Director of Operations, working with the CEO to map out and execute the strategy to expand into new markets and to acquire and develop new technologies. GHS is a designer, developer and manufacturer of industrial, “mission critical” LED lighting for the Construction, Mining, and Industrial markets. 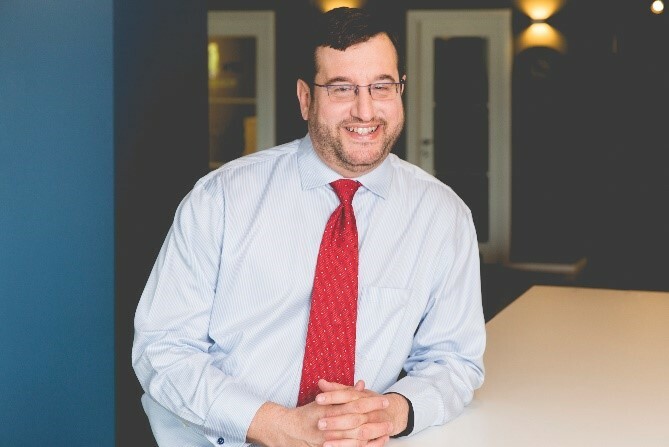 Most recently, Jeffrey was the Managing Director of The Benchmark Company, a boutique New York merchant and investment bank focused on technology, energy, and healthcare. He was responsible for corporate client services, client relationships and corporate finance, and was the key driver in Benchmark’s transaction process. Prior to Benchmark, Mr. Frank was the Senior Managing Director of Investment Banking at Commonwealth Associates, LP, a 25 year old $2 billion investment and merchant bank. Before Commonwealth, Mr. Frank was a Director with Sumitomo Corporation of America in the Corporate Business Development Group where he oversaw the execution of M&A transactions, deal sourcing, and portfolio company management. The investments Mr. Frank worked with included companies in construction, information technology, logistics and supply chain management, consumer packaged goods, financial and insurance services, and minerals and mining. Before joining Sumitomo, Mr. Frank was a partner in a niche financial advisory firm, Edge Capital Access. Mr. Frank worked with several technology companies during the late 1990’s in roles ranging from Director of Strategy to CEO. He started his first company, a successful construction company at the age of 19, which he grew over to reach more than $1MM in annual revenues before selling to a competitor. Mr. Frank has an undergraduate degree in Accounting from Adelphi University and a MBA from the Wharton School of Business. He is licensed as a series 7, 66 and 24. Mr. Frank is an avid world traveler with a keen focus on bringing new technologies in housing, energy, and communications to emerging markets. For more information, please reach out to Jeffrey at jfrank65@gmail.com.